Lou is currently Associate Director of QA Audits for vaccines and dietary supplements manufacturing at Pfizer in Pearl River, NY. Lou has 31 years experience in the pharmaceutical and diagnostics industries. Lou has been with Pfizer (formerly Wyeth and Lederle Laboratories) in Pearl River for 20 years. His experience includes manager of parenteral vaccine manufacturing, aseptic processing , quality assurance , compliance and auditing. Previously Lou worked in diagnostics reagent manufacturing for 11 years with Instrumentation Laboratories in Orangeburg, NY. Lou has degrees in a BS Biology and MS Microbiology. He has been a member of the ASQ Tappan Zee Section since 2007 and is an ASQ CQA. Linda Sroka is a Senior Manager of Quality Assurance, Americas at Celgene Corp., in Basking Ridge, NJ. She has over 30 years experience in pharmaceutical and veterinary manufacturing as well as global compliance and quality management. Linda has a Bachelor of Science degree in Biology from West Virginia Wesleyan College and currently holds ASQ certifications as a Certified Pharmaceutical GMP Professional; Certified Manager of Quality and Organizational Excellence and Certified Quality Auditor and certification from the New Jersey Pharmaceutical Quality Control Association. Linda joined ASQ in 1988 and has served in the Tappan Zee Section as Chair, Secretary, Audit Chair, and chaired various committees including, Arrangements, Certification, Membership, Nominations, Placement, Publicity, Recertification, and Scholarship. She currently serves the Tappan Zee Section as Certification Chair for exams. Linda also is active with the ASQ Food, Drug & Cosmetic Division. She currently is a member of the CPGP exam committee and will serve as a Co-Chair of the committee for the 2010/2011 term. John is currently the President of his own consulting business, Lyall and Associates LLC, specializing in GMP audits and Quality System Review. Previous to starting his consulting business, John held varying positions of increased responsibility in Corporate Quality for several global pharmaceutical companies. He has experience auditing in over 27 countries against multiple regulations and guidance documents. In 1995 he published the book “GMP Auditing by Mail” (© Interpharm Press) and is currently working on an improved version. John joined ASQ in 1988, is ASQ certified with a CQA and CPGP, and is certified by the Registrar Accreditation Board as a Quality Systems Lead Auditor. He joined the ASQTZ Leadership Committee in 2010. John currently resides in Orange County, NY. Greg L. Szczesny is a New York City-based managing director in PwC's (PricewaterhouseCoopers) Risk Assurance practice. Greg is a senior management advisor with 20 years of experience in supply chain operations and regulatory compliance focused in the diversified industrials, aerospace and defense, automotive and pharmaceutical /medical device sectors. He has significant cross-industry and international experience having worked in the US, Europe and Asia. Greg earned his undergraduate degree in systems engineering from the United States Military Academy (West Point) and completed his MBA from Auburn University. 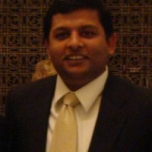 He has been a member of the ASQ Tappan Zee Section since 2009 and is an ASQ Certified Six Sigma Black Belt. Stephen Joseph is currently working as a Scientist with Pfizer, Pearl River. He has been with pharmaceutical business for over 10 years. Stephen has also worked in IT industry previously with certifications in Java, MCSA and CCNA. He has been a member of ASQ Tappan Zee since 2012 and is a CQA. Stephen earned his undergraduate degree in Pharmaceutical Sciences from Holkar Science College, India and completed his Masters in Applied Chemistry from Institute of Chemical Sciences, India. He also has Masters in Industrial Pharmacy from LIU, Brooklyn. Scott has over 25 years of experience in the life science industry. He spent seven years in quality and validation at a pharmaceutical manufacturer before becoming a consultant with QPharma. At QPharma, Scott is both a functional and project manager with full-time employees reporting directly to him, along with teams of personnel reporting to him for specific projects. Scott specializes in equipment qualification and validation for production, packaging, laboratory, and facility/utility systems. His specialties are FDA regulatory compliance, Good Engineering Practices, Equipment Qualification, Validation, and Project Management. Scott also teaches a graduate-level class in regulatory compliance and validation at the NJ Institute of Technology, and is an active member of the ISPE-NJ and ASQ. Scott holds a BA with majors in chemistry and mathematics from the State University of New York at Potsdam, and received his PMP certification in 2011. David B. Levy has been involved in the quality profession for over 30 years as a director, manager, engineer, auditor, independent consultant in a variety of industries including telecommunications, defense electronics, commercial electronics, distribution, food manufacturing, ceramics and reinforced plastics. David is currently the Manager of Quality and Safety at Boyce Technologies, Inc. as well as a Quality Consultant and principal of Levy Quality Consulting, LLC, where he services a variety of clients in all aspects of Quality Assurance, including Quality Management, Quality System Implementation, and Quality Auditing. David has an MS degree in Operations Management from Polytechnic University and a BS degree in Ceramic Engineering from Alfred University. David is an ASQ Fellow, and also holds four ASQ Certifications (CQMgr, CQE, CQA & CQIA) and is an Exemplar Provisional Auditor. David served as Region 3 Regional Director from 2003 to 2009 and again from 2012 through present. David has been a member of ASQ since 1990, and joined the ASQTZ Section Leadership Committee in 1994 serving in many positions including: Chair, Vice Chair, Treasurer, Newsletter Editor, NEQC Rep, and Webmaster. He has also served as an ASQ CQA Preparation Trainer. David and his family live in Cortlandt Manor, NY. David enjoys skiing, swimming, traveling with the family, bicycling, reading, playing poker and spending quality time with his family.